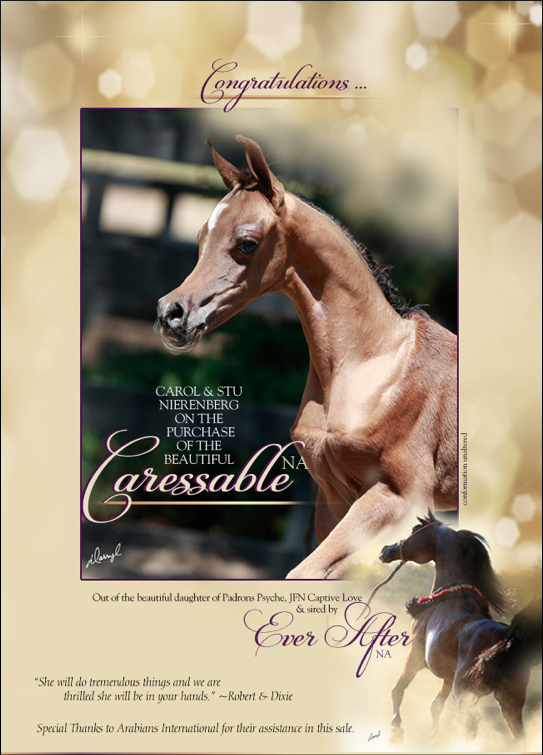 It is with great pleasure that we congratulate Carol and Stu Nierenberg on the recent purchase of Caressable NA. A beautiful filly sired by Ever After NA and out of the gorgeous daughter of Padrons Psyche, JFN Captive Love. Special thank you to Arabians International for their assistance on this sale.